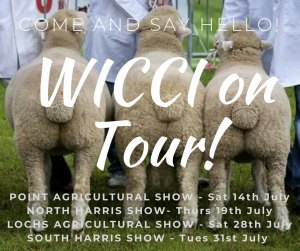 WICCI are going out and about over the next couple of weeks to meet people at the various Agricultural Shows in Lewis & Harris. Be sure to come and say Hello if you can and hear more about the work of WICCI. Your ticket for the: WICCI on Tour!